Guy Montag is a fireman in a futuristic, dystopian world. Books are illegal in this world, and the only job that Guy and other firemen have is to burn books hoarded or read by rebels. It’s the only life Guy knows, the only one he believes to be right and true. Until he meets a strange young woman, Clarisse, who speaks of sharing ideas, of living a life beyond the television-addicted one that most people live, of a life before books were banned. And Guy begins to question everything he’s ever known. Attracted to the very books he’d spent most of his life destroying, he begins to read in secret. But little does he know that books have the power to change thought and life. While Guy struggles to understand the new emotions and unrest he’s experiencing, Clarisse disappears. And Guy is thrust into his worst nightmare – fighting the very people and system of which he was an integral part. Will his new-found ability to see the world differently than others save him? Or is he doomed to the fate he brought upon so many others – death by fire or life in prison? Fahrenheit 451 tries very hard to be thought-provoking, intense, and visionary but falls short on most of it, managing to become little more than a narrative that’s too abstract, broken, and choppy. Fahrenheit 451 by Ray Bradbury has a reputation. Published in 1953, the book was visionary in its take on a dystopian, television-focused future. It was also raw and sort of in-your-face regarding a lot of the ‘given aspects’ of life. Consequently, the book was republished (infamously) with a cleaner, less abusive version, and was also (ironically) banned from schools’ reading lists. Yet, it received many accolades for its story and stand, becoming a beloved classic for many reader groups, and being touted as Bradbury’s best work ever. Which is why I get that I may not be in the majority when I say that I did not like this book. The book definitely has some aspects that were visionary. The dystopian future, the technology-addiction, and the heightened sensitivity to anything and everything – all of this adds really interesting elements to the feel and setting of the book. It also has aspects that are thought-provoking – what happens when people stop thinking for themselves, what happens to compassion and society when we only become involved in thrills and getting that next high, what happens when free speech is no longer a thing, and what happens when people believe nothing but that which they’re trained to know, see, hear, and accept. These points paint the picture of a harsh world which, to be honest, doesn’t seem that far-fetched now. And the fact that our world may not be too far from becoming that which the book depicts really makes you think about just where people – rather, humanity – is going. The sad part though is that the book doesn’t do a great job of successfully evoking these thoughts to the extent that it can. Fahrenheit 451 has a lot of potential, but I found it really failing on implementation. The book is written in an extremely abstract manner. That definitely has its appeal as a style; but not when it’s so overdone that you sort of get lost in the abstract prose and can no longer follow the intended meaning. This is especially predominant in Guy Montag’s thoughts and actions. A simple action is exaggerated to give you a real feel of its intensity. But the exaggeration just does not end. It goes on and on to the point that you forget what the action was, and can barely understand the thought it evokes. By the time you’re brought back to the scene, you’ve traversed numerous other, unrelated ones, and completely lost track of where the story was going. Most of the book is this way – with simple actions and thoughts, and even the settings, made extremely abstract. And while I do enjoy abstract touches in prose, I thought Fahrenheit 451 went so far with it that it moved from being abstract to being downright convoluted. A lot of what the book could have offered as a dystopian environment was lost because it was just so confusing to comprehend. Then there’s the fact that books are burned, but knowledge is passed down. Some books are allowed, but no one is allowed to think for themselves. It seems like all these were brilliant aspects of an idea that somehow just never came together. And, in the end, the reason for books being banned in the way that they were just didn’t make sense. Personally, it made me think that if Bradbury had spent less time on abstract descriptions and more on actually adding to the story and setting instead of leaving it tacit, the book would have been very different. All in all, Fahrenheit 451 has a very interesting premise (which is why it gets 1.5 stars instead of something much lower) but makes for an unpleasant, slightly cumbersome read (which is a very difficult thing to achieve in a book this short). I heard about the book when its movie adaptation gained popularity. The blurb seemed very exciting, so I wanted to read the book before I watched the movie. Although I didn’t enjoy the book, I do want to watch the film to see its cinematic interpretation (which didn’t do all that well, apparently, but… oh well!). It may have gone down in history as a cult classic, but I really would not recommend Fahrenheit 451 to anyone. There are better books that fit into the dystopian genre, if that’s what you’re looking for. Share your thoughts on the movie and the book in the comments below! And thanks for stopping by! 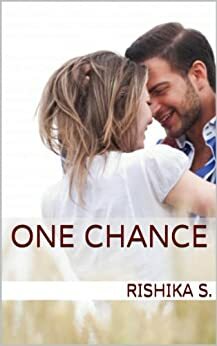 One Chance is a touching short love story of love, betrayal, mistakes, forgiveness and above all, a second chance. After ten years apart, life has given them one more chance to right their wrongs and to correct their mistakes. Will time be on their side? 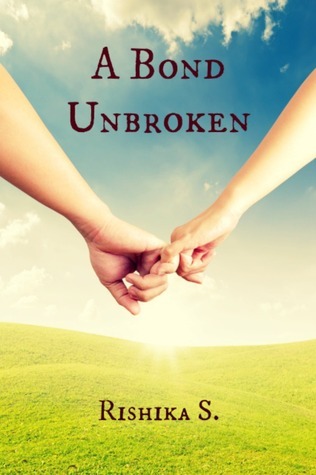 Or will the bond that holds them together even as they’re apart, finally fail the test of time? The Book Review Station · Book reviews… so that you can add even more to your to-be-read pile!